Singapore Glow In The Dark Pathway | JustRunLah! 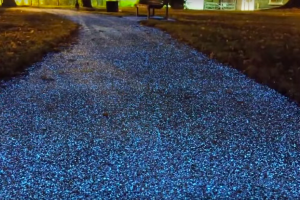 A small 100-meter section of the Rail Corridor between Upper Bukit Timah and Choa Chu Kang Road underwent construction to create glow-in-the-dark pathways. How does it work? 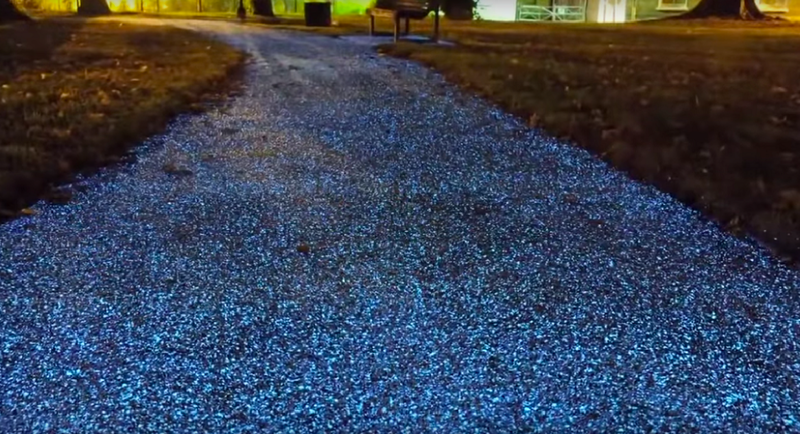 Just like your old glow-in-the-dark stickers from yesteryears did: natural, non-toxic light green strontium aluminate minerals have been mixed into the pavement to absorb UV rays from the sun so that it will glow at night for a good eight hours. We’re not sure if that’s going to hold (remember how the stickers kind of lost its glow over time? ), but that’s what the trial is for, right? The remaining 300 meters of the test track will be made of grass, gravel, fine gravel and earth-colored porous concrete.